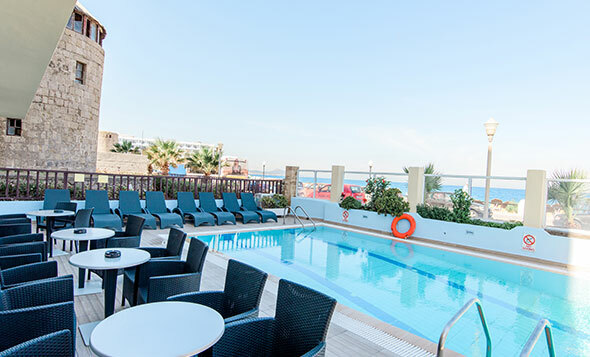 Riviera Hotel is located in the city of Rhodes. It is front of the beach and the rooms have a spectacular sunset view to the infinity of the sea. It has the amenities of 4 star hotel with breakfast, sauna and swimming pool. Nearby you can find all the markets you need, museums, sights, beaches the Old Town, Water Sports and many more. Your holidays in Rhodes will be the best if you rent a room to admire a unique infinity view. Our rooms are perfect for couples and 3 guest maximum. Breakfast are included in the price. 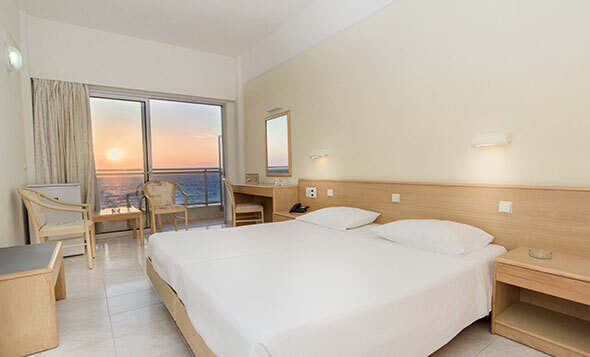 Riviera Hotel is located to the best part of Rhodes. It is seafront, in the new town and very close to the magnificent Medieval Town. It provides you easy access to the best restaurants, shop, markets and anything you need in the island of Rhodes. One of the most favorite parts of the hotel is the spectacular view. 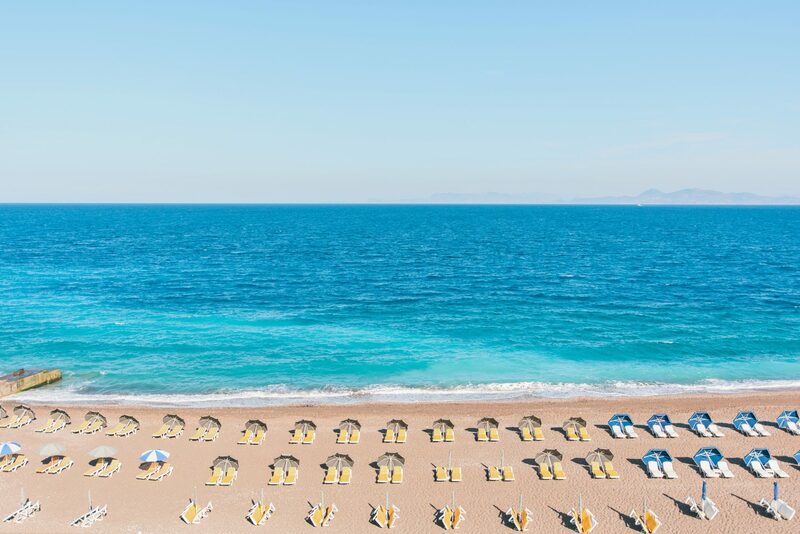 The combination of the location ( front of beach at the west side ) offers an infinity sunset sea view. This is why we are proud about our service and the view that we offer every afternoon! 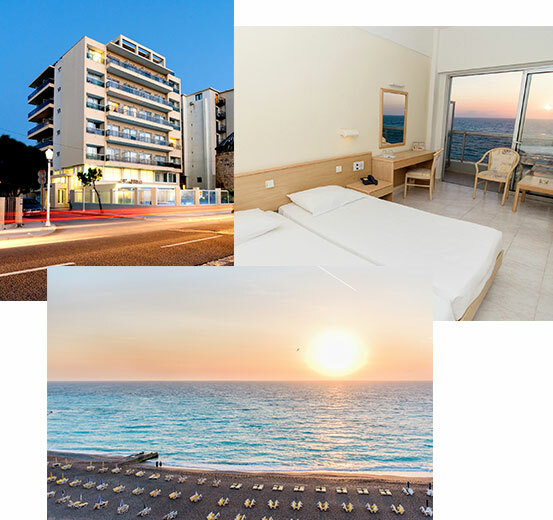 Riviera hotel provides you with two different types of rooms. Each of them has a maximum capacity of three guests.